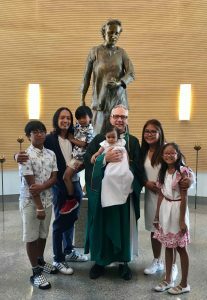 On Sunday, September 2nd, we celebrated the Sacrament of Baptism. Margarette was baptized into the life, death and resurrection of our Lord Jesus Christ. For some, witnessing a full immersion baptism was a new experience. Registered parishioners interested in Baptism should contact the parish office.